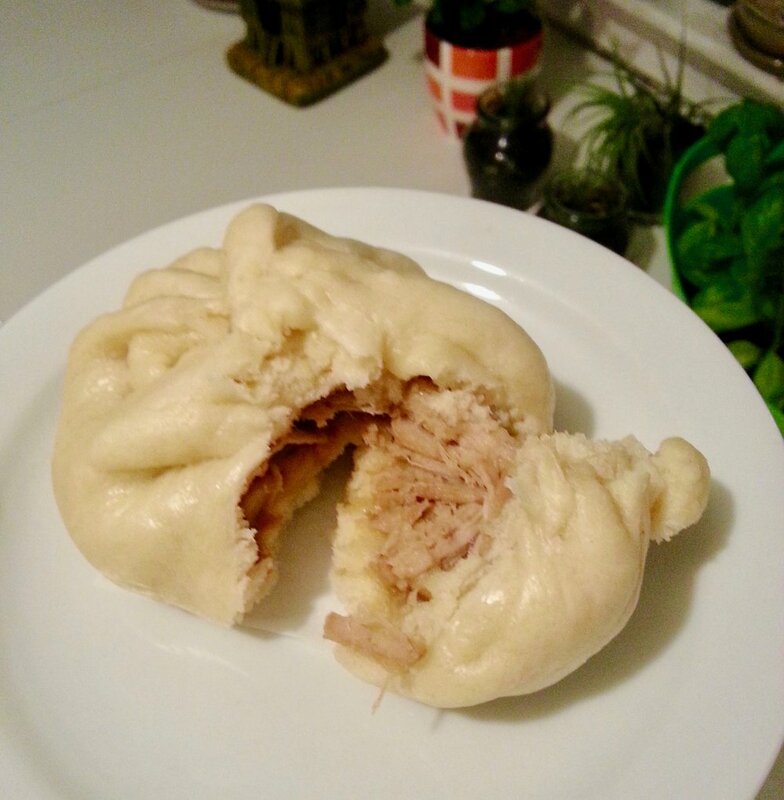 On Saturday I decided to tackle making siopao asado. It took awhile to get the twisty top done correctly, but quite happy with how they turned out! True to what inevitably has become my cooking style, the filling was an amalgam of several recipes, which I hope to tweak for the next batch so the shredded pork doesn't turn out as dry, and the asado sauce becomes a little more pronounced. Mostly worked with what our pantry had stocked over the weekend, as well as what was available at the grocer. Another thing I've embraced: missing/unavailable ingredients isn't getting in the way of making Filipino food at home! We're nothing if not tenacious. Thanks to Jun-blog and Adora's Box for the informative posts and inspiration!